The Mantovana cake is a classic! Very good for breakfast, it is also a lovely dessert that goes very well with Tuscan Vin Santo. Either way I am sure you’ll love it. Stella chef at Misenplace has kindly shared this recipe with me last year and I’ve tried immediately. 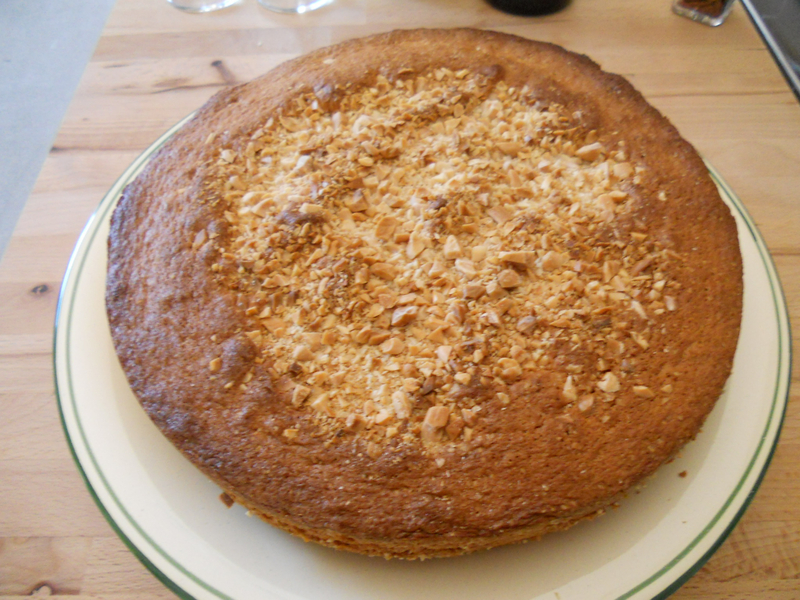 As i really don’t like almonds, I’ve tried to use pine-nuts instead and the result was very good. Decide according to your taste or use both almonds and pine-nuts. Preheat the oven at 180°. Grease/flour a cake tin 25 cm. Beat the yolks well with sugar, add flour and potato flour, then add the melted butter, the baking powder and the lemon rind. Continue to stir and mix well. In another bowl, beat the eggs whites until firm peaks form. Add the whites slowly to the mixture. Slowly pour in the mixture into the cake tin, add the pine-nuts or chopped almonds on the surface and cook for approximately 40 minutes at 180°. This recipe is very easy and it is possible to prepare everything in advance and serve it as a starter or main course. The mayonnaise can be refrigerated and use within a month. Put the yolks in a bowl (I use the measuring cup that comes with the electric mixer, which is tall and not too large) add the salt and white pepper and start to mix with an electric mixer. Slowly add the oil while mixing, always in the same direction. When the oil is finished add the lemon juice. 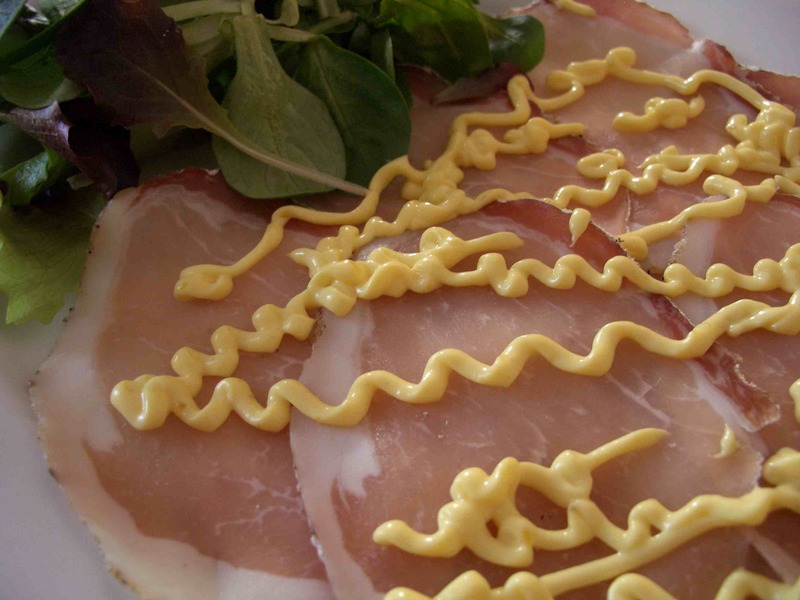 When the mayonnaise is firm decorate the Loin and serve it together with a fresh green salad. 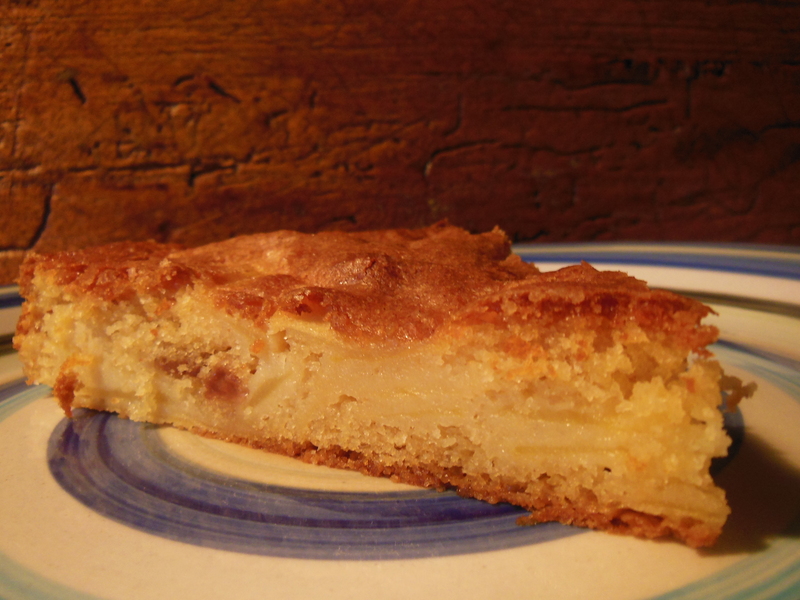 This is a delicious cake ideal for breakfast or “merenda”. It is very easy to prepare and it’s soft and creamy inside and crispy outside. I also serve this cake as a dessert with some vanilla ice cream. Every moment is a good one for this cake and kids love it! Peel the apples and slice them in a bowl, add some lemon juice. In a different bowl beat the eggs with the sugar (200 gr) until they are frothy. Add the melted butter, the yogurt and a pinch of salt. Mix well then add the raising powder, the vanillin, 1 teaspoon of cinnamon. Drain the apples and add them to the mixture. Mix carefully with a spoon. At the end add the flour and mix well. Grease and flour a baking pan and pour in the mixture. Then cover with a mix of 3 spoons of brown sugar and 1 teaspoon of cinnamon. Bake in preheated oven for about an hour (do the “toothpick test” for the cooking). Make sure that apples don’t burn and if after 30/40 minutes they start to burn cover the cake with an aluminum foil. Don’t open the oven during the first 30 minutes or the raising f the cake will be compromised. 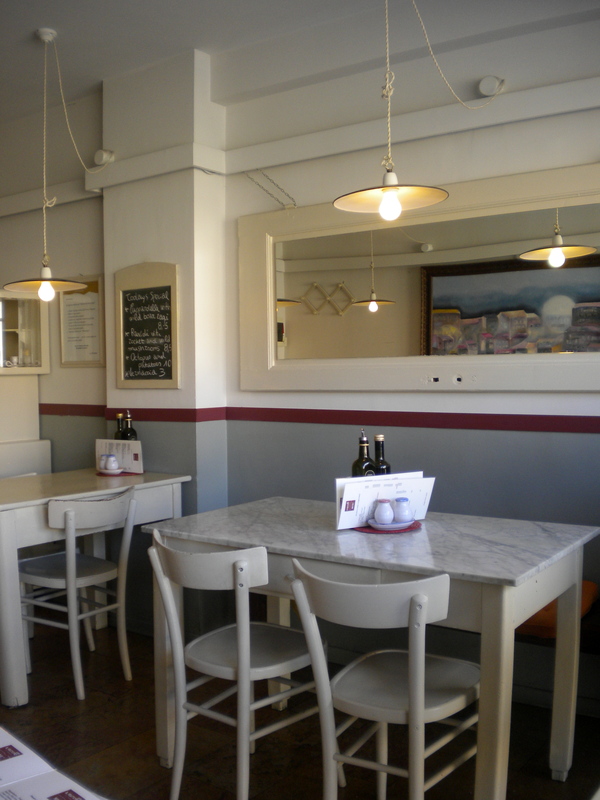 Today I would like to share with you my favorite restaurants in Florence. This is the perfect place to stop for a quick lunch while sightseeing the city. From Signoria walk trough the Ponte Vecchio, turn right and walk for 140 meters, on your right you’ll see a small window with a red sign. The bar has a deli case with classic Florentine bar foods such as Pappa al Pomodoro, Ribollita, ravioli, and salads. A wide assortment of Pecorino cheeses from across the Tuscany region are also made available. Step in and seat by the window overlooking the Arno. Located in the heart of city centre in a XIV century building. Two small dining rooms on the main floor and a more rustic dining area in the cellar downstairs. Book in advance. Ideal for dinner. Our suggestion is a romantic walk by the river after dinner. 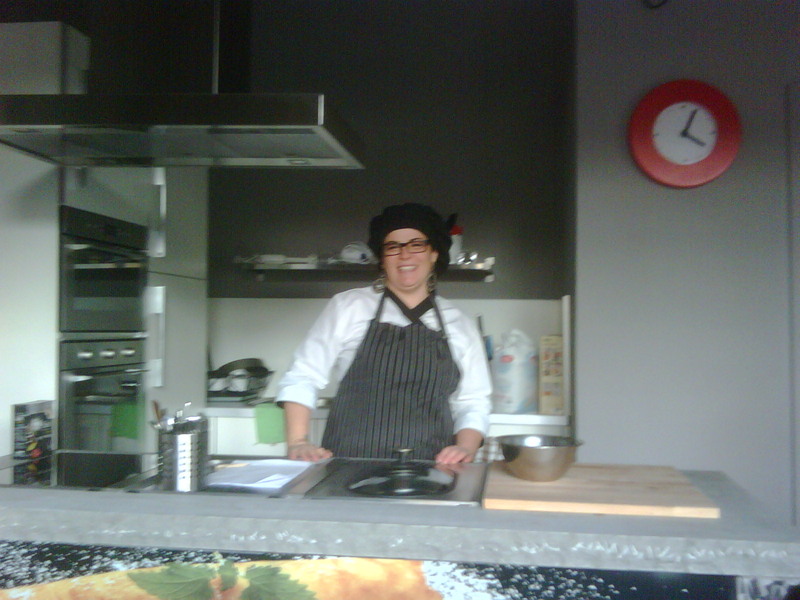 Cibreo is one of Florence’s best restaurants, serving food, and particularly good fresh fish, cooked with real flair. 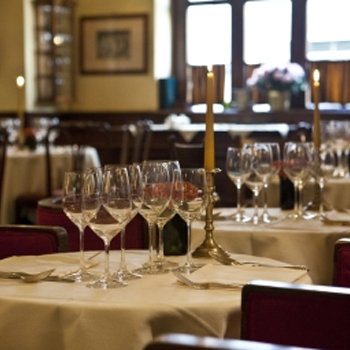 Menus change daily, and include a lengthy selection of appetisers, first courses (soups and polenta) and main dishes (fish, meat). Desserts are delectable: chocolate cake, cheesecake, and Bavarian cream feature. For half the price, eat at the less formal Cibreo Trattoria, right next door, which serves a limited version of the same menu at communal dining tables, what’s more, you don’t have to book. Via A. Del Verrocchio. Tel. : 055 2341100. This tiny place is a must if you stay in Florence longer than one day. 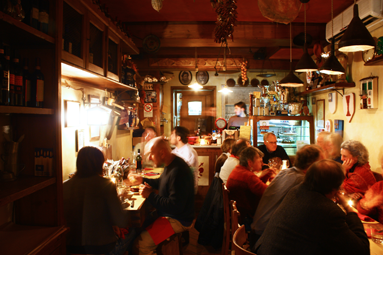 On the main square of Fiesole just a few seats to enjoy genuine and typical Tuscan food. Book in advance. 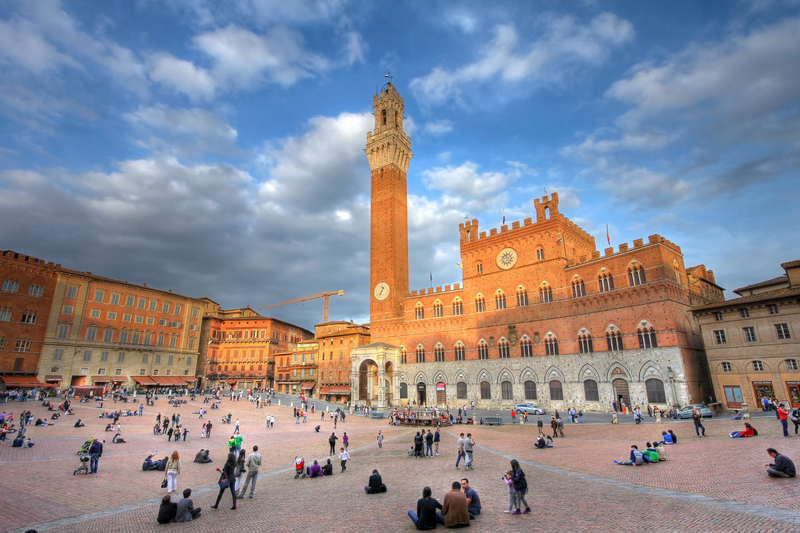 Art is certainly what has most influenced Siena, making it one of the most visited tourist city: Piazza del Campo, the Duomo, Palazzo Comunale and the Torre del Mangia attract visitors from around the world. A simple walk through its narrow streets is a step back in centuries. Siena is also famous for wine and food, the Italian Wine Cellar, located in the Medici Fortress, has a selection of typical food and the ancient Sienese sweets, like ricciarelli, gingerbread, the copate and cavallucci. The Romanesque-Gothic cathedral of Siena dominates Piazza del Duomo. lf you are up to climbing 130 steps, you will be rewarded by the view from the Facciatone, or “big façade,” which would have been the front of the New Cathedral of Siena. 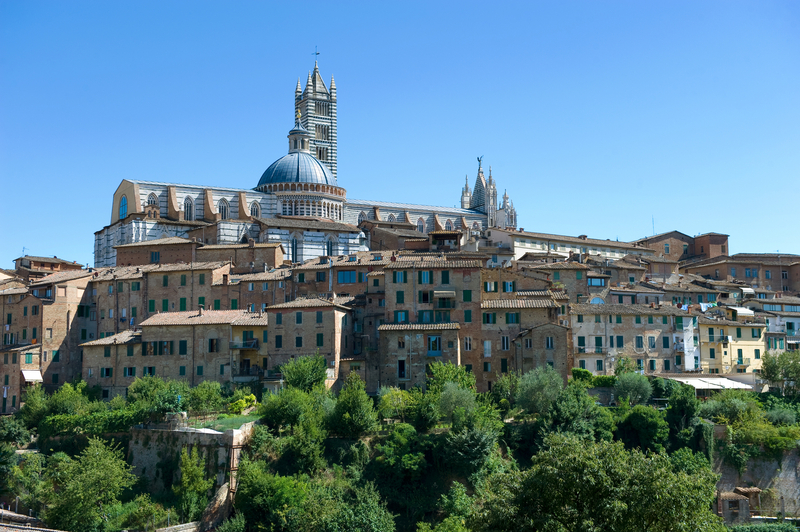 Here is one of the highest points of the city, and all of Siena unfolds before your eyes. Another artistic jewel in this square is Santa Maria della Scala, one of the oldest hospitals in the world, and today an internationally famous cultural centre. 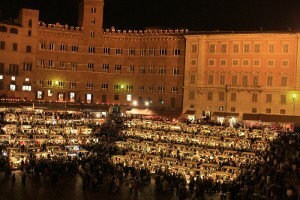 More than 700 years ago the weekly market was held in the Piazza del Campo. A couple of years ago the Comune decided to evoke the ancient tradition organising a typical market in the suggestive Piazza. Every year in December the event take place. Visitors can taste and buy Pecorino, honey, Cinta Senese cold cuts and meats, saffron, vegetables and fruits. Leather, ceramic, antique furniture are also showed int he stalls. The market lasts for two days usually first week-end of December. Definitely the best-known and most exciting traditional Italian festival and the only one to have taken place, without interruption, from the 14th century until today. 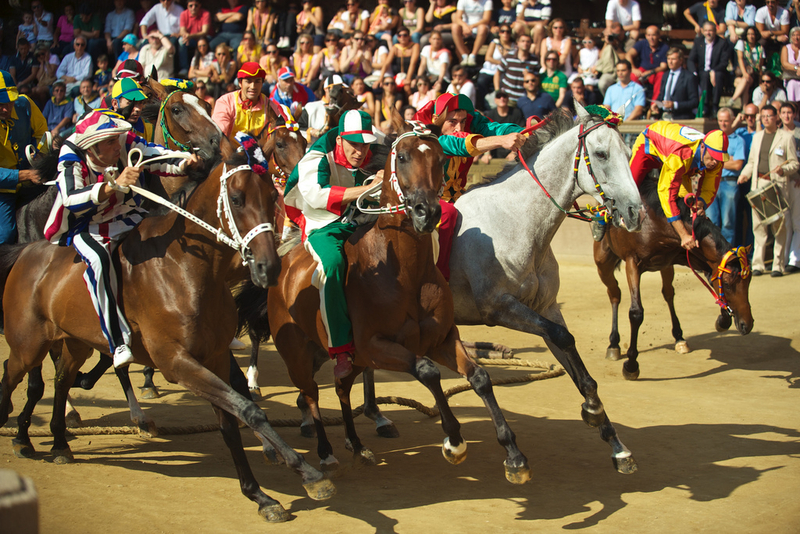 Initially the Palio took place only on July 2nd, in honour of the Madonna di Provenzano, and was run through the city streets without any particular rules. In the 18th century, the race began to be held on August 16th as well, in honour of the Madonna of the Assumption, and rules were established which still apply today. The 17 quarters “Contrade” which Siena is divided into can enter for the Palio, but horses from only ten quarters, drawn by lot, actually race. There’s a magnificent procession in costume before the race featuring the famous flag-throwers from each contrada. To book your villa near Siena contact Tuscan Views. Today I would like to share with you the last recipe from the “Pecorino che Passione” cooking class held by Angela Olmi chef at Osteria da Gagliano in collaboration with Stella Severini of Misenplace. This is a very easy and quick recipe, it can be served as a starter or as a main course. Now that you have all the recipes try to prepare the whole meal of “Pecorino che Passione”, your family and friends will be amazed! 4 slices of Semi-seasoned Pecorino cheese (2 cm thick with the skin on). We used the Red from Pienza bought at Il Granaio di Gabriello. Cut the red chicory and season with salt and extra virgin olive oil, place some chicory on each plate. Meanwhile, oil a non-stick pan or grill and heat it over high heat. Place the Pecorino in the grill and cook until browned and crunchy on both sides. Place the Pecorino over the red chicory and then add two slices of lard on the pecorino, season with black pepper and serve.